Just because they’re simple, doesn’t mean they’re lacking flavor either. Oh-no. Not these shells. As we’re coming into Spring, we’re coming into fresh basil a plenty. My backyard tends to get taken over by basil to the point that I tend to run out of things to do with it. I’m not complaining about that though. Bring on the basil! 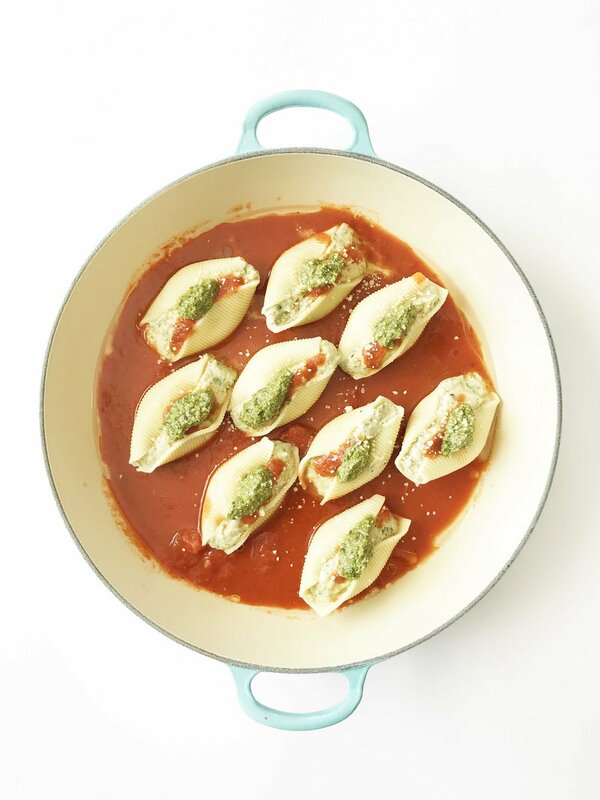 With the shells cooked, you just mix the cheese and pesto and stuff those bad boys before baking for a few minutes in the oven. See? Told you they were easy! Easy. Cheesy. And simple as they come. I love this dish for a quick weeknight dinner, because it’s just that. 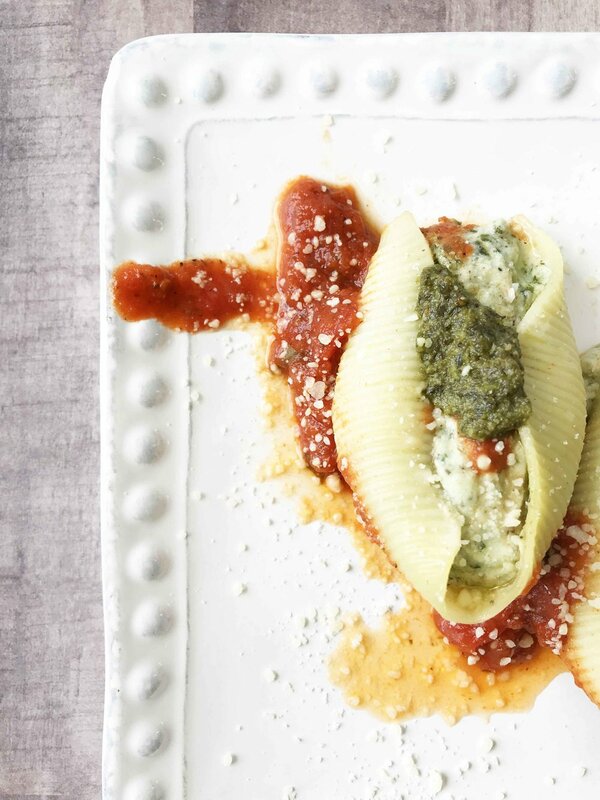 A super quick dinner that the whole family will love. Yep! Even the kiddos. I like to make my own pesto with my own basil. But. 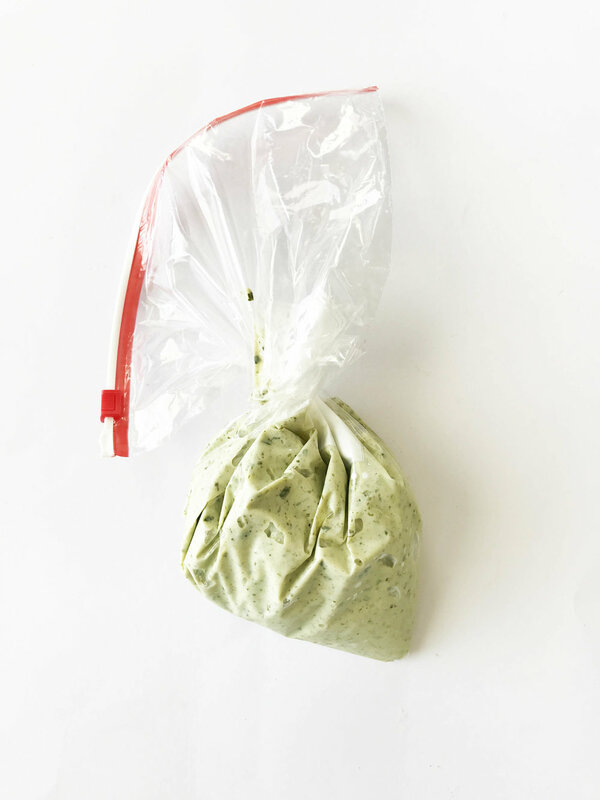 If you don’t have time for it, any lightened up pesto will do the trick here. The same thing goes for the sauce. 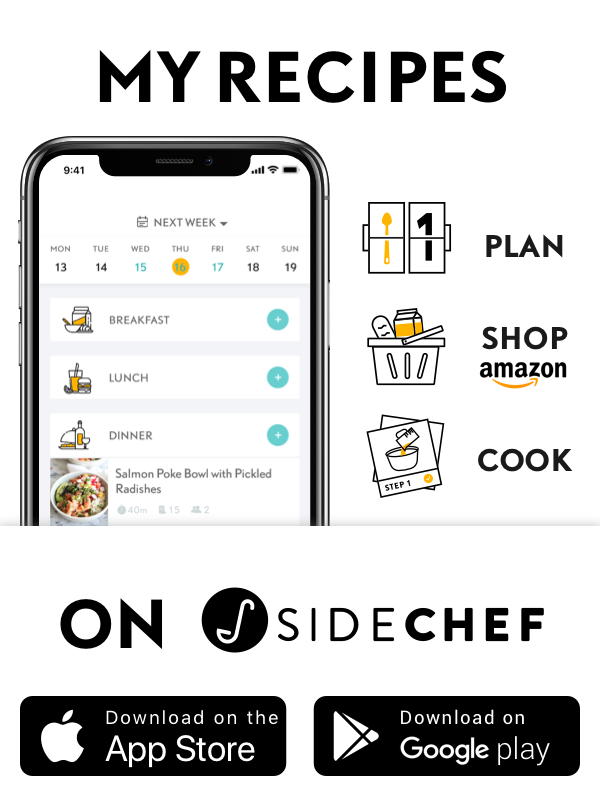 Store-bought or homemade, either way, you’re going to love the end result. So, there you have it folks! Serve with a small Italian side salad, some crunchy Italian bread, and call it done. Looking for an extra kick? Sprinkle some crushed red pepper flakes on top. 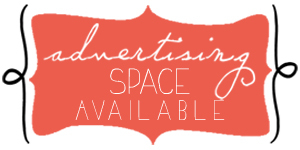 Wanting to brighten and elevate the dish further? Try some chopped fresh basil on top. 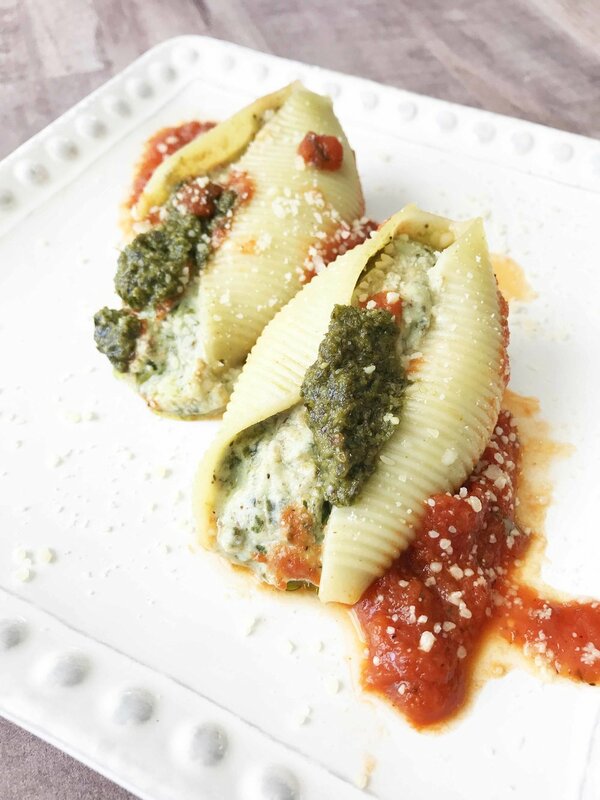 These shells are stuffed FULL and loaded up with a yummy (and easy) pesto and ricotta mixture and baked right in marinara sauce for a quick weeknight dinner that the whole family will love! Preheat the oven to 375 degrees F. and lightly coat the inside of a large baking dish with non-stick cooking spray. 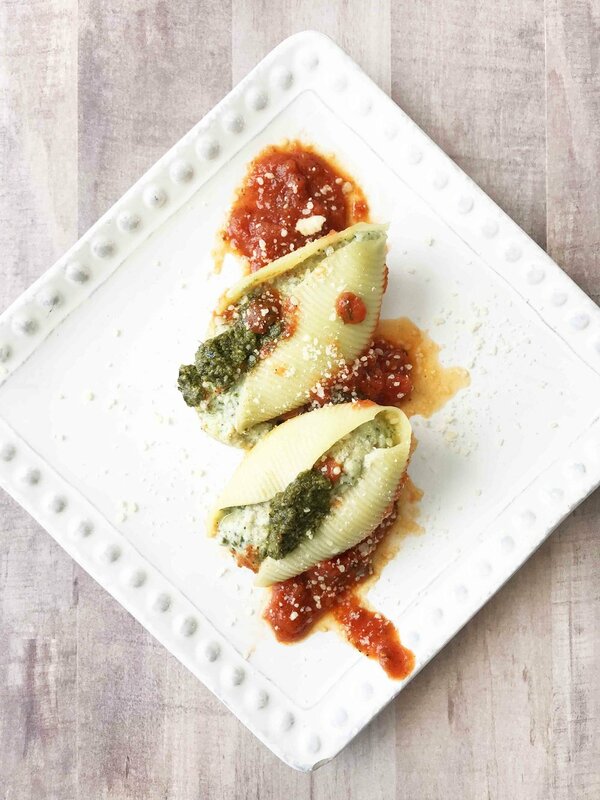 Place the most of the marinara sauce into the bottom of the dish, reserving just a little for topping the shells later if desired; set aside. Mix together the 15 Oz. ricotta, the 8 Oz. pesto, and salt & pepper to taste in a medium bowl. Transfer the mixture into a large piping bag or a ziplock for easy shell stuffing. 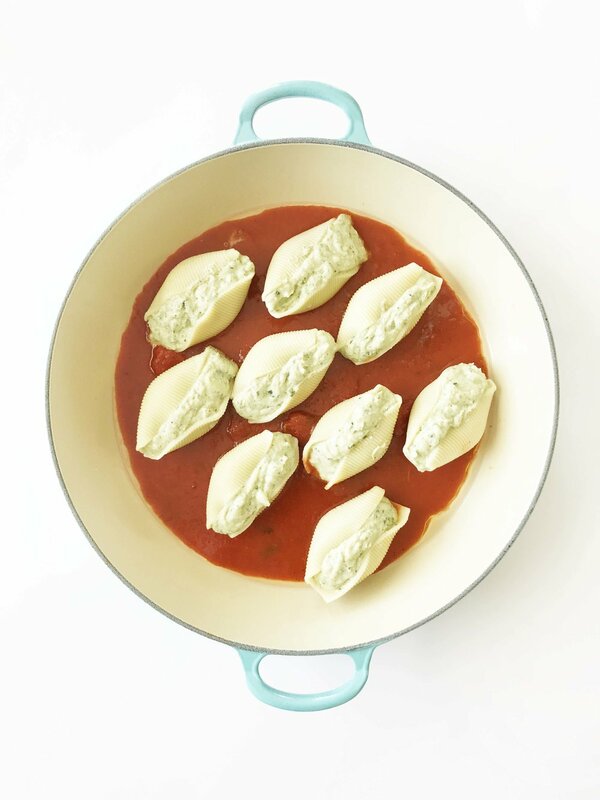 Fill each of the shells about as full as you can get them with the ricotta mixture and place them into the prepared baking dish with the marinara. 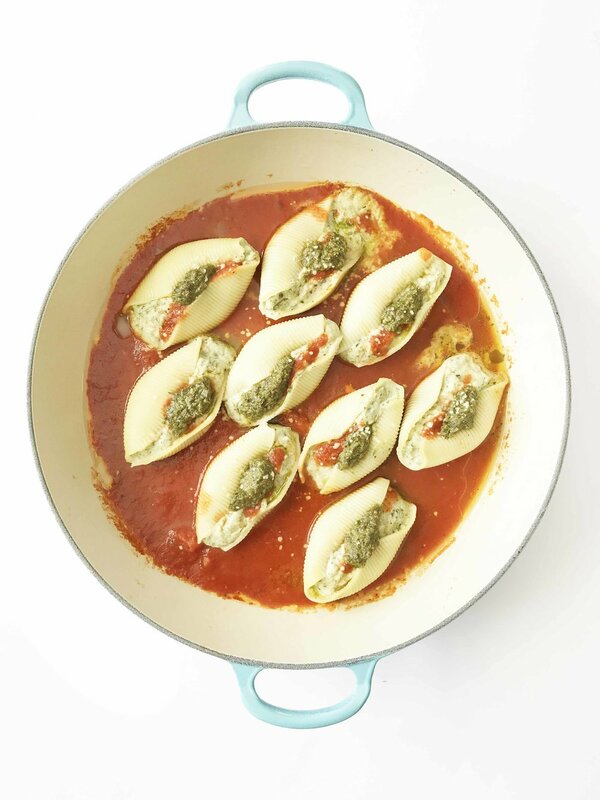 Top each shell with any reserved marinara or pesto and/or give a sprinkle of grated parmesan. Cover and bake for about 20-30 minutes or until the sauce is hot and bubbly.